Are you looking for a drip coffeemaker that is from a name you know? With all the brands and new kind of coffeemakers available these days, it can be very frustrating to try to compare them all. I’ve been there and done that! I’ve spent literally all day looking online to find the perfect coffeemaker. Drip coffeemakers all have different features but I was looking for one that had a built-in water filter since I normally do not drink water from the tap and didn’t want my coffee having that chlorine taste anymore. If this is important to you, this review is meant just for you. Did you know that Mr. Coffee’s automatic drip technology changed home coffee brewing forever almost 50 years ago and has continued to innovate new features, designs, and brewing methods that have delighted us coffee lovers for years as the leading choice of coffeemakers. One of the features I was looking for was for it to make coffee faster than my old Mr. Coffee and the Optimal does it in less than seven minutes, which is 20 percent faster. I love also that it is hotter than most coffeemakers. It produces exceptional taste by combining the high brewing temperature of up to 205 degrees F with a fast brew speed that ensures you get a thorough extraction of the coffee flavor. Another very important feature I wanted was a water filter and the Optimal Brew has a Water Filtration disk will filter out any impurities and up to 97 percent of chlorine from your water during brewing so that your coffee will taste like it was meant to taste. If you already have a water filter connected to your water line, this feature may not be important but if your filtering system stops working you can always depend on these filters to do the job so your coffee will never have a chlorine taste. 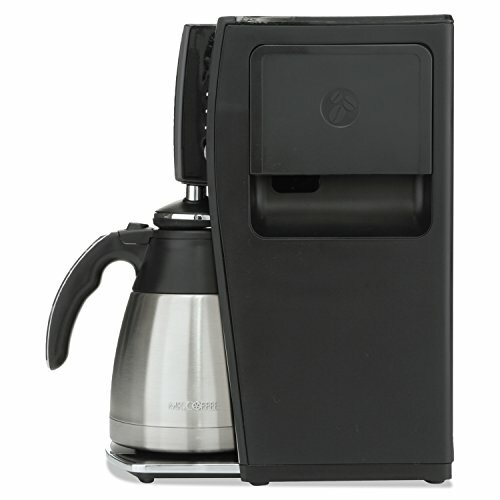 The Mr. Coffee Optimal Brew has a double-walled thermal carafe made of stainless steel that will hold the coffee temperature without a warming plate to burn the coffee. It is full programmable so it will be ready before you wake up with the Delay Brew and if you happen to wake up before it is done, you can use the Grap-a-Cup Auto Pause to sneak a cup. Another feature I like is the removable water reservoir which is easier than filling the carafe and if you happen to be using the carafe, you can still fill up the reservoir to be ready for making another pot. Also, the special cleaning cycle helps to maintain the performance and coffee taste. There were some complaints that the water filters may cause a weird taste but you can eliminate that by presoaking the filter. If you get any kind of plastic taste, run clear water or with vinegar added for a few cycles. 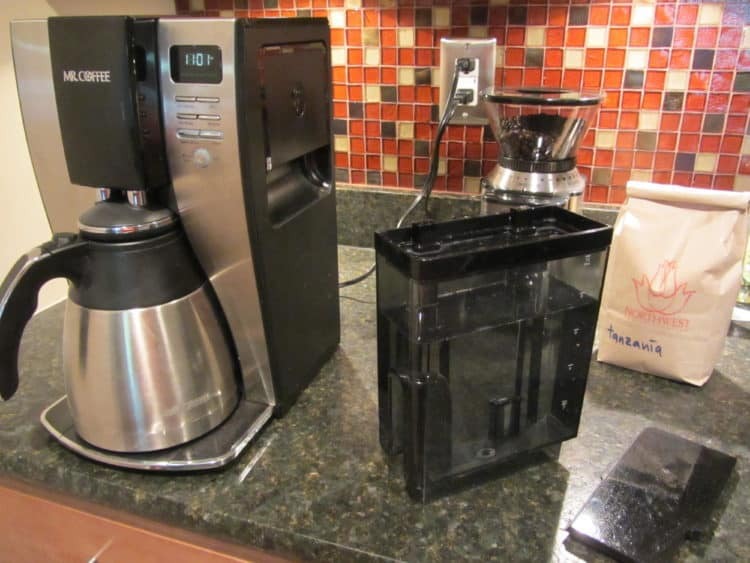 This is a typical problem with many coffeemakers but doing that is an easy fix. The verdict for this Mr. Coffee Optimal Brew 10-Cup Thermal Coffeemaker System, is that it fits the bill for all the features I was looking for and it has many more advantages than disadvantages.